You are here: Home / Great Deals / Christmas Deals / FREE Women’s Texting Gloves! 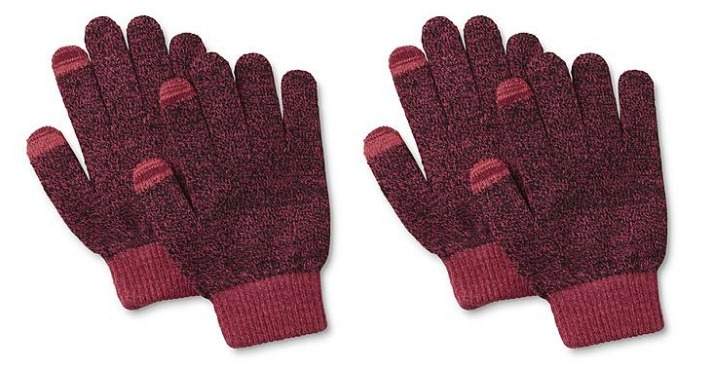 Sears has these Women’s Texting Gloves on sale for $1.99 (Reg. $5) and you can get back $2.01 in Shop Your Way points, making it FREE! It can be annoying to remove your gloves every time you want to use your phone, so these women’s texting gloves will come in handy. In soft knit, these space-dyed gloves stretch for a personalized fit. The tips of the pointer finger and thumb are equipped with special stitching, allowing you to use your phone with ease while keeping your hands covered and warm..